We are thrilled to share that Hayyah Clairman‘s MSc work on our Team ABC3 study ‘Pathways to eating: Determining eating behaviour phenotypes in children with severe obesity‘ under the supervision of Dr. Jill Hamilton has been accepted for publication in the International Journal of Obesity! Stay tuned for the final publication! Other team members on this work include: Elizabeth Dettmer, Annick Buchholz, Kristina Cordeiro, Katerina Maximova, Alene Toulany, and Katherine Morrison. Categories: Obesity Research, Papers, Recent Studies, Team ABC3 | Tags: Alene Toulany, Annick Buchholz, Elizabeth Dettmer, Hayyah Clairman, Jill Hamilton, Katerina Maximova, Katherine Morrison, Kristina Cordeiro, Publication, Study 5.3 | Permalink. As you may recall, our Team ABC3 protocol paper was accepted for publication in BMC Research Notes and we are pleased to share that it has now been published! The research proposal highlights our seven study designs and methodological approaches to examine a host of issues (e.g., definition, prevalence, health risks, health services use, treatment) related to severe obesity in Canadian children, findings that will have national and international relevance to researchers, clinicians, health care administrators, and decision-makers. Categories: Papers, Team ABC3 | Tags: BMC Research Notes, Protocol Paper, Publication, Research Proposal, team ABC3 | Permalink. Check out the last few summer publications by our Team ABC3 members before September arrives! Categories: Obesity Research, Recent Studies | Tags: Catherine Birken, childhood obesity, Jess Haines, Jonathon Maguire, Karen Tu, Mark Tremblay, Patricia Parkin, Publication, Recent Publications, Sarah Carsley | Permalink. Our First Team ABC3 Publication! We are very pleased to announce that our first Team ABC3 paper has been accepted for publication in BMC Research Notes! Stay tuned for the pdf; Congrats, team! 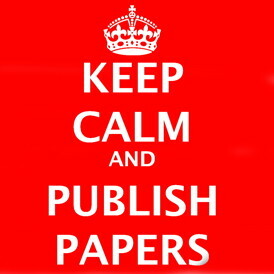 Categories: Papers, Team ABC3 | Tags: BMC Research Notes, Publication, Research Proposal, team ABC3 | Permalink. Categories: Papers, Team ABC3 | Tags: Canadian Health Measures Survey, CANPWR, childhood obesity, Publication | Permalink.